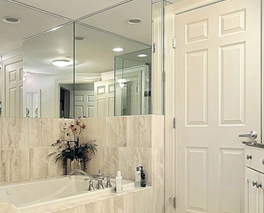 Interior doors for any home can be made from several types of materials. 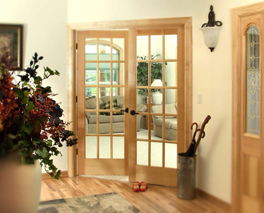 Rich wood species like mahogany, red oak, and alder are very popular and can be found from Rogue Valley Doors. Looking for a door that can be painted easily? Masonite's moulded interior door line could be a perfect fit! Moulded (hardboard) doors best known for being painted in many different styles and combinations. These sandwich style doors offer quality product in both hollow core and solid core offerings. Style and rail built doors, Rogue Valley's handcrafted doors come in a variety of wood species with many options and glass choices!